Sony needs to "look at each" market before committing to European and America releases. Earlier this month Sony unveiled the Vita TV, a home version of its portable console that will cost around $100 and have PS4 streaming functionality. The announcement generated excitement amongst gamers around the world, many of whom were disappointed when Sony revealed shortly after that it has no current plans to release the mini-console outside of Asian markets. That said, Sony executives admit that western responses were "more than we expected." Even so, the company still isn't willing to make solid plans for American and European releases. "Of course we are thinking of launching it in the US and Europe," said Sony Japan's Masayasu Ito. "But when it comes to the timing, we'll have to watch the environment and identify what other services are available in the US and Europe and whether we'll have to add other services." SCE CEO Andrew House offered further clarification in another interview. 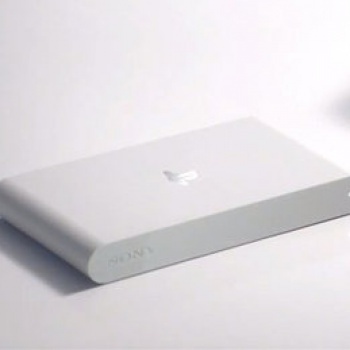 "The reason we wanted to launch PlayStation Vita TV in Japan first was because we think that there is a significant gap in this market even for a pure streamed TV box," he explained. "There isn't really a competitor here that's staked out a claim. And frankly, in my own view, Japan is a little behind the adoption curve in video streaming services." Europe and the United States however, are different in that streaming capabilities "are already part and parcel of how consumers view media there." In turn, the company "need[s] to look at each of those markets and how we approach them" before it can plan an expanded release.